Celebrate your eternal love with these beautifully crafted wedding bands. 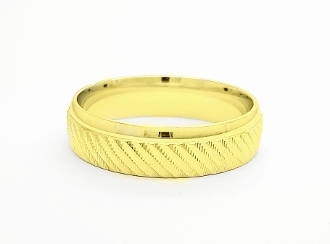 These 14k gold rings are single beveled with a high polish accent trim which creates an elegant and classic design. Your wedding day is a day you will never forget, so choose a band that just as beautiful as your special day. If you want to personalize this item, please choose our engrave option. These bands are available in both his & hers sizes!